Chopta is a picturesque hamlet which is still unexplored by travelers, is also famous as "Mini Switzerland of Uttarakhand". Wake up with cool salubrious breeze and chirping of birds in Chopta which is a far cry from the blaring horns of the cities and other hill stations, morning view from Chopta is invigorating when the crimson rays of sun kisses the snow laden Himalayas. This hushed abode is enclosed by the dwindling pines, deodars, rhododendrons and other conifers that can be found in this region, whick makes Chopta rich in flora and fauna. Why Visit Chopta Hill Station? Beautifully garnered amidst the quintessential velvety meadows, Chopta serves as the base for trekking to Tungnath and Chandrashilla, the third holiest temple among the (Five) Panch Kedars. This unspoiled destination is snuggled in the lap of the Himalayas, offering an unobstructed view of Trishul, Nanda Devi and Chaukhamba peaks. Chopta has become the hotspot for the solitude seekers, the avid trekkers, and the nature lovers as it is blessed with a scenic yet peaceful aura. The resplendent beauty of this place is accentuated by the evergreen forests which is a part of the Kedarnath Wildlife Sanctuary. One can see the diverse Himalayan flora-fauna along with the various species of birds and musk deer. 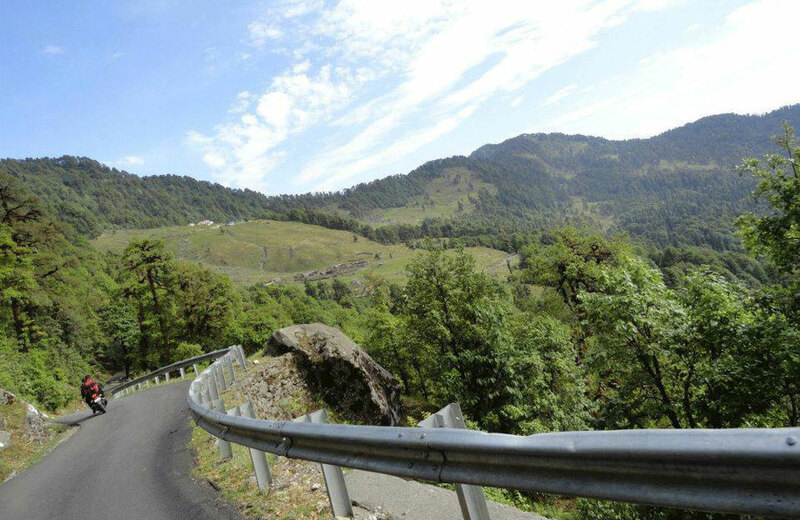 The perk of visiting this quaint hamlet is that you can commence the Tungnath (about 3.5 km from Chopta) and Chandrashila Trek (about 1.5 km from Tungnath) altogether. If you want to explore further then you can also head to Deoria Tal. Trekking in Chopta: The trek route to Chandrashila commences at Chopta and involves easy to medium grade trekking. The enthralling treks take some through enchanting meadows, hushed hamlets, and conifers and oak forests. 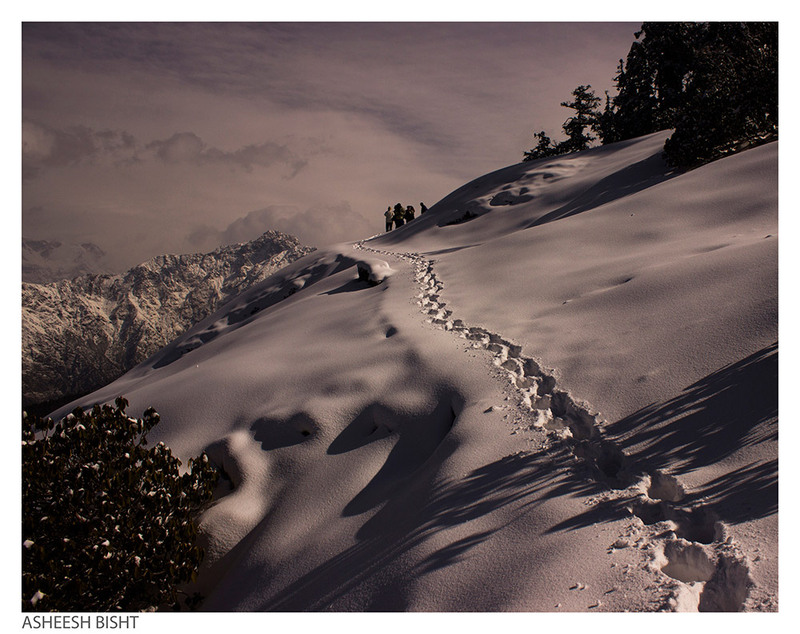 In winter, the trekking route is covered in snow. You can also trek to Devariyatal, Bisurital or induldge in a 4-5 days trekking expedition in Chopta as well. Photography: Chopta offers mesmerizing view of the undulating valleys and one cannot resist capturing the majestic snow covered peak with their camera. The 360 degree panorama one witnesses form the Chandrashila summit is one of the reasons to make Chandrashila one of the best spot to capture snow capped mountains. Camping in Chopta: Being situated enroute to Tungnath, Chopta is an ideal place to camp and enjoy the beauty of nature. Camping is an amazing experience to have with family and friends when you are surrounded in the lap of nature. Bird Watching in Chopta: Chopta has a great forest line which has hundreds of different speicies of bird. Bird watchers from all around the globe can visit Chopta and explore. Ideal season for bird watching is from Feb to April. Yoga and Meditation in Chopta: Peaceful environment, lush greed meadows, majestic Himalayan views in Chopta enhance the meditation and yoga activities in Chopta. Many foreigners come to Chopta for medidation as Rishikesh gets crowded sometimes. The trek route from Chopta is relatively easy to moderate and can easily be done with kids. It snows heaviliy in winters at Chopta and Tungnath and the trek tends to get quite difficult but the views cannot be described in words. Last ATM is in Ukhimath (not sure about working condition), but it is better to carry cash with you. You'll find last working ATMs in Srinagar. 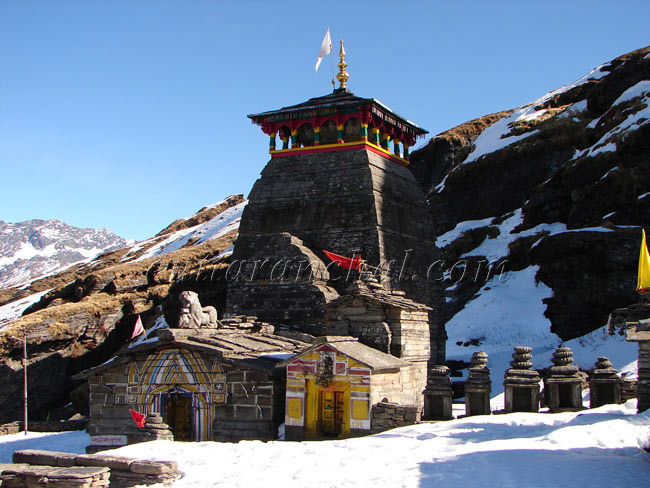 Chopta is, in all its essence, the base camp for the Tungnath – Chandrashila trek. There are few of hotels and swiss tents available in the region starting from Makkuband, Dugalbitta, Baniyakund and in Chopta. All of them offers basic facilities at nominal charges. 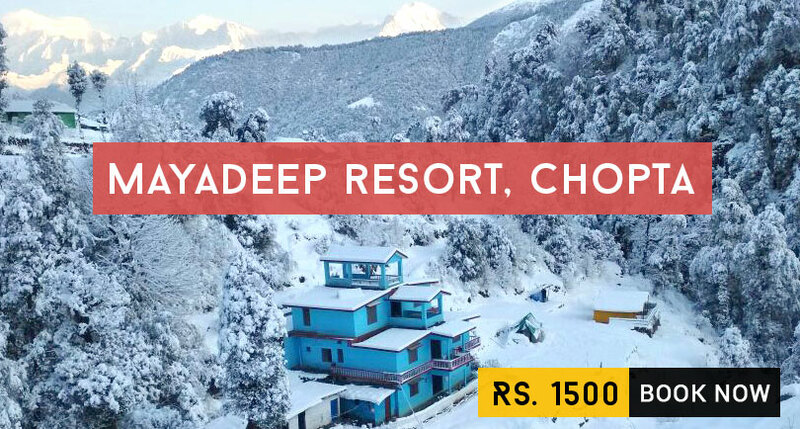 For groups and families you can consider Mayadeep Resort in Chopta. One can also bring their own tents to stay at Chopta or book camping with local operator to enjoy caming in Chopta. Being a small hamlet, Chopta doesn’t offer many dining options. However, the place is does have some local eateries and roadside food stalls (Dhabas) that offer some of the popular North Indian and Chinese dishes. Although, some resorts may have in-house restaurants that serve selected delectable cuisines. 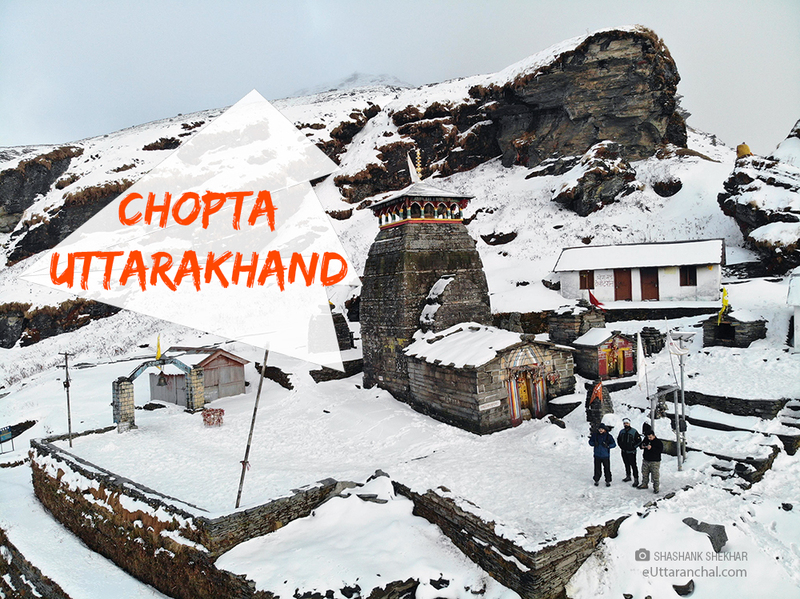 The Chopta-Tungnath-Chandrashila trek is quite popular among the trekkers as it takes you through the grasslands and covers some of the best views of nature. Bird watching is also possible here as the region harbors great species of Himalayan birds, including the Himalayan Monal. Some of the leisure activities that you can do in Chopta are camping, trekking, yoga, snow trekking, skiing, rock craft, rock climbing, rappelling, bird watching and photography. 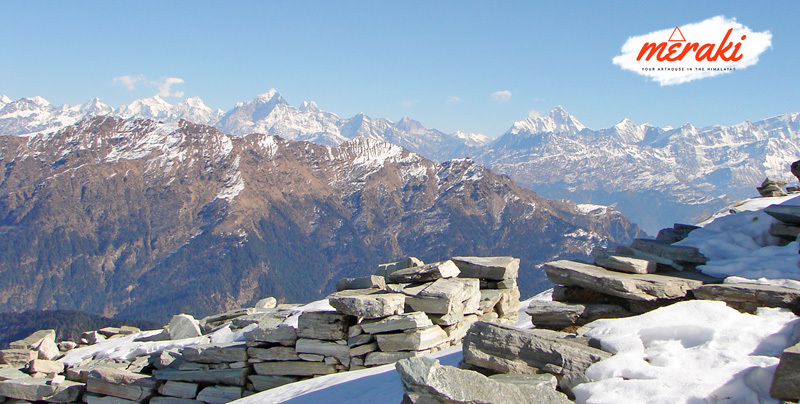 Chopta, Tungnath and Chandrashila are covered with snow during winters. If you visit the place during Dec-Feb, you may witness snowfall and enjoy trekking in snow But the roads are occasionally blocked near Chopta in case of heavy snowfall. 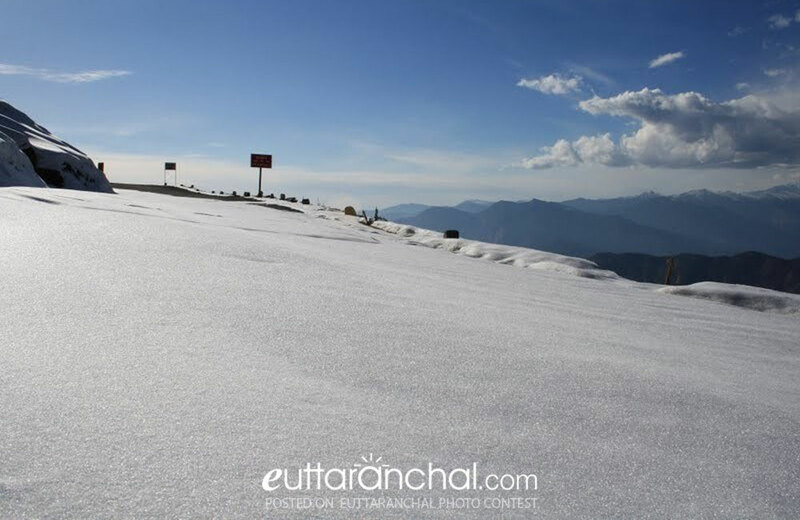 Check out Chopta in Winters. What is Chopta famous for? Chopta is famous among tourist as Hill Station, Trekking, Camping, Bird Watching, Yoga, Meditation, Temple. Chopta is recommended destination for Corporates, Couples, Family and Kids, Foreigners, Groups, Solo. Chopta is popular destination for following activities/ interests - Adventure, Base Camp (Trek), Bird Watching, Camping, Char Dham Route, Christmas and New Year, Emerging Destinations, Hiking, Hill Station, Honeymoon Destination, Leisure, Meadows, OffBeat, Romantic, Trekking, Weekend Getaway, Winter Treks, Yoga and Meditation.